Are you looking to help your child reach their social, behavioral, and/or academic goals? The Brain Balance Achievement Center of Boise-Eagle is here for you! Having helped tens of thousands of children with learning and developmental issues through our holistic approach, The Brain Balance Program is able to help children by creating a customized plan. In order to identify each child’s unique challenges, a child is first given a personalized assessment prior to enrollment in the program. This assessment includes sensory-motor and academic testing and is performed in a single session. 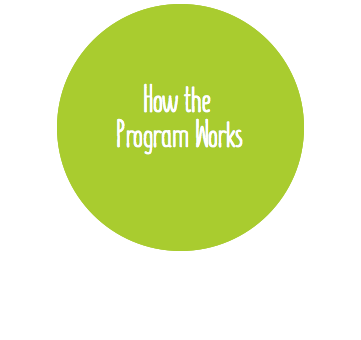 Then, we use what we learn from the assessment results to set up your child’s program. The Brain Balance Achievement Center of Boise-Eagle works to improve developmental functions with your child through a drug-free, integrated approach. The Brain Balance Program combines academic activities and sensory motor training with nutritional guidelines to help your child reach their social, academic, and/or behavioral goals. At the Brain Balance Achievement Center of Boise-Eagle, we believe that there is a strong connection between the stomach and brain. Because of this, conditions such as leaky gut syndrome can lead to negative behaviors - especially in children with Oppositional Defiant Disorder (ODD) or Autism. Leaky gut, also called intestinal permeability, occurs when there are large cracks or holes in the gut lining. These holes and cracks allow partially digested food and toxins to irritate the underlying tissue. Specific foods, such as dairy and gluten, are particularly hard for children with ODD and Autism to digest, and the insufficient digestion of these foods produces brain activity similar to the ‘high’ caused by morphine. Effects of this ‘high’ can be seen through vacant stares, dilated pupils, limited interaction, inappropriate behaviors, and excessive cravings for foods containing gluten or dairy- such as chicken nuggets, macaroni and cheese, ice cream, etc. The Brain Balance Achievement Center of Boise-Eagle has developed a nutrition program that can help improve a child’s digestion, and in effect, can reduce the negative effects of leaky gut syndrome. Your child’s personalized plan through The Brain Balance Program is focused on helping your child overcome their social, behavioral, and/or academic challenges. Most of our plans include up to 3 weekly in-center visits as well as a nutrition plan to implement at home. This plan helps to support the in-center sessions by improving your child’s gut health. As a parent, we know that it can be difficult to watch your child struggle. The Brain Balance Achievement Center of Boise-Eagle has a plan for your child. If you suspect that your child has a leaky gut, Brain Balance is the answer you’ve been looking for. Call (208) 377-3559 or sign up today for more information on how The Brain Balance Program can help your child.